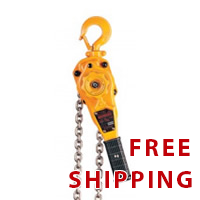 Loadhook.com distributes lifting equipment solutions for machine shops, printing companies, injection molding applications, aerospace, equipment service companies, steel service centers, pharmaceuticals, construction, paper converting, steel fabrication, foundries, concrete plants, electronic manufacturing, glass companies, and wood mills. Experienced solutions and application assistance ensure your investment in lifting equipment is a sound one. 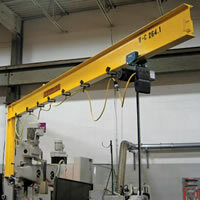 Visit our knowledge center section for addition information on selecting crane and hoisting equipment. 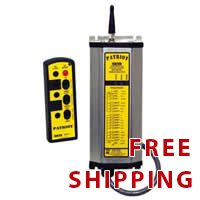 We also offer crane safety training materials to educate your employees. Our experienced sales engineers can guide you through the selection process and offer cost effective solutions to your heavy lifting needs. 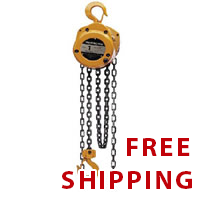 Harrington CF hand chain hoists give you a practical alternative thanks to an economical design using fewer parts for trouble-free service. 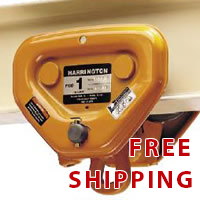 Because of their portability, Harrington hoist trolleys are an ideal tool for service vehicles where lifting and rigging in the field are required. 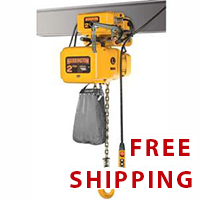 Harriington hoist trolleys help you maneuver loads easily on your most demanding lifting operations. 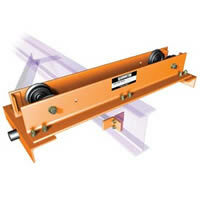 An economical solution to moving and lifting heavy loads. 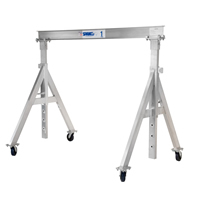 These aluminum gantry cranes include adjustable height and span. Loadhook.com’s knowledge center is designed to give you access to valuable information that allows you to make good purchasing decisions. The knowledge center is your in-house crane expert that is always available with 50 years of experience in the industry. Please contact one of our application engineers for personal assistance with any questions.